Multiple rumors are pointing towards an expensive iPhone 8 handset this year, and one of the reasons for Apple’s hotly tipped anniversary edition iPhone getting a price hike could be the difficulty it's facing with 3D Touch. Chinese site, the Economic Daily News has information from sources at TPK Holdings (the firm that supplies Apple with 3D Touch sensors) claiming the price of the sensors will double for the iPhone 8. The sensors used in the likes of the iPhone 7 and 7 Plus apparently cost around $7 to $8 a pop, but the iPhone 8 units are tipped to set Apple back $18 to $22 a time. The reason is apparently due to the complexity involved in attaching them to the AMOLED display the iPhone 8 is tipped to pack – with previous iPhone handsets using LCD displays which are easier to bond with the 3D Touch technology. However, the source goes on to claim that Apple is willing to take a hit on the 3D Touch sensors, absorbing the costs rather than passing them onto consumers. 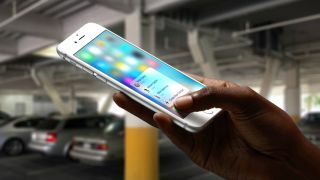 It’s no surprise that if the 10th anniversary iPhone is launched later this year that it will cost a significant amount, but as rumors continue to flow regarding the technology Apple is seeking to squeeze inside we could end up with an eye watering price tag. We're hoping that Apple is willing to absorb so more of the additional costs, to keep its special edition iPhone 8 within reach of more people.